Riddle Vineyard and the older Morelli Lane Vineyard next door are part of the property that Guiseppe “Joe” Morelli, Sr. (photo below) acquired in 1892. Joe was born on the eastern shore of Lake Como in the town of Lierna, Italy. Family legend indicates that he was married several times and had 17 siblings. When he was about 20 years old, he fled to Switzerland to escape military service. He married a Swiss woman and started to raise a family. Seeking a better life for his family, he left for New York in 1874. Joe moved on to Nevada where he joined his nephew, and they obtained a contract to furnish charcoal to the miners. 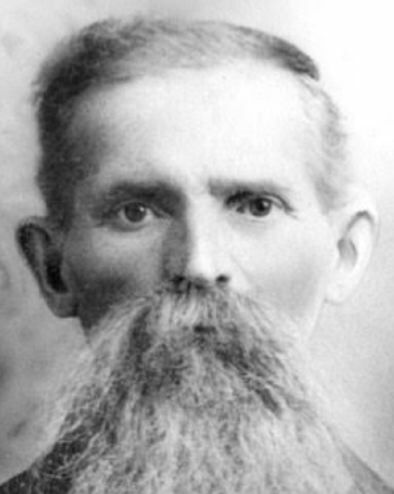 Then, in 1883, he moved to Healdsburg where he worked various jobs including a lumberjack along the tributaries of the lower Russian River from Guerneville to Duncan’s Mills. He became a United States citizen in Sonoma County on December 21, 1891. After ten years away from his family back home in Switzerland, Joe sent for his eldest son, Joe Morelli, Jr.. By 1892, the family had saved $3,100 to buy an 80-acre parcel of land on what is now Morelli Lane. From 1892 to 1900, the farmland was cleared of oak and redwoods and a vineyard was planted. To accommodate an expanding family, two homes, built entirely of redwood, were built on the property. A three-story winery was constructed just north of the main house along with a cow barn. In about 1912, a large wine cellar was added underneath the main house. In order to plant more vineyard, in 1906 the Morelli’s bought a 43-acre parcel located on Harrison Grade Road, about a mile away from the main ranch right across from what is now Heintz Vineyard. A large house and winery were built on this property in 1908. In January, 1910, the Morelli property was apportioned among three sons by drawing straws. 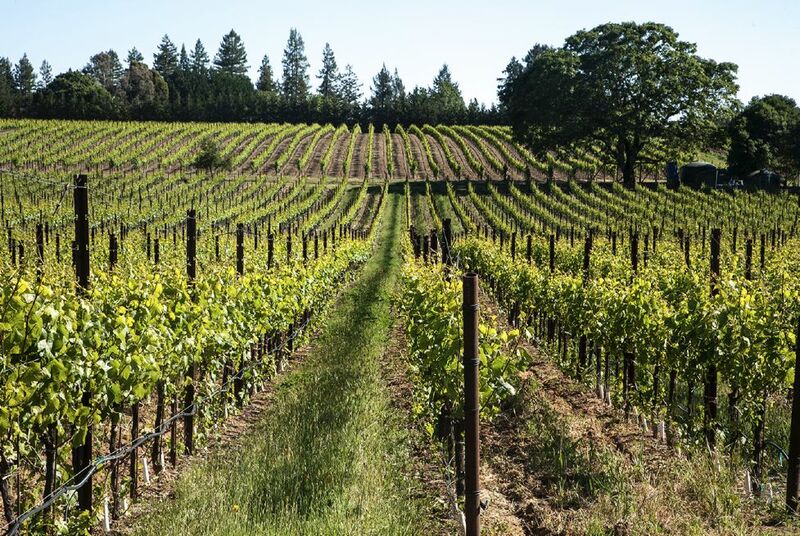 The 43-acre parcel was drawn by Lee Morelli, while Joe Jr. and Tony Morelli each received half of the original 80-acre parcel where Riddle Vineyard and Morelli Lane Vineyard now sit. The Morelli Lane Vineyard, revived by the Duttons in 1995 is now farmed by Dutton Ranch. Riddle Vineyard is located on Stoetz Lane at the top of the Harrison Grade in Sebastopol, just north of Occidental on the second ridge inland from the Pacific Ocean in the Green Valley of Russian River Valley AVA. Only six miles from the Sonoma Coast, this 17.5-acre vineyard was planted by owner James Riddle in 2008. Clones 115, “828,” Pommard and Mt. Eden are planted at high density (3.5’ x 6’) in well-drained Goldridge and Franciscan shale soils. The special Mt. Eden selection was sourced from a prominent vineyard planted along California’s Central Coast and performs particularly well at this site. Some Chardonnay is planted as well. Riddle Vineyard sits in a “sweet spot” for Pinot Noir. Nearby are multiple premier vineyards including Chenoweth Ranch, CIRQ’s Treehouse, Aubert’s UV-SL, Fox Den, Square Peg’s SP-SL, Lucky Well, Silver Eagle and Bill Price’s new vineyard at the top of Stoetz Lane. 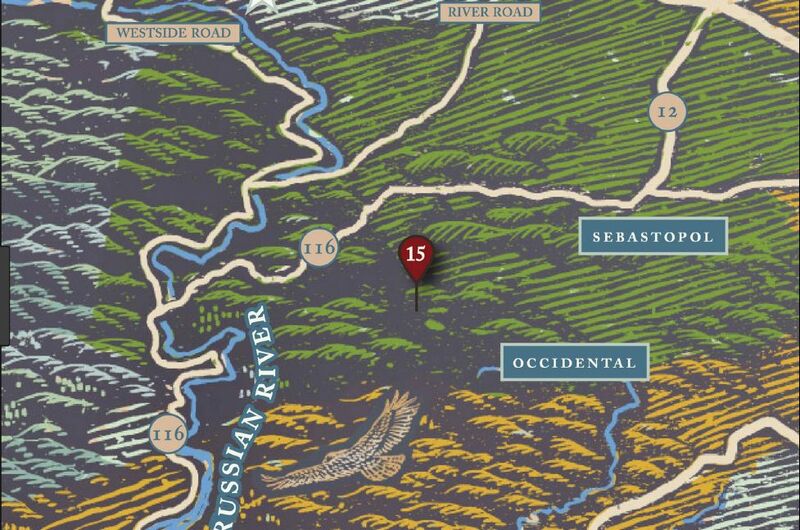 The map below is from DuMol’s website showing the location of Dutton Ranch-Morelli Lane Vineyard. Riddle Vineyard is next door. Mornings in the vineyard tend to be foggy, yet the fog burns off fairly early allowing the vineyard to be drenched in warm sun the rest of the day. James Riddle is a meticulous farmer who has installed a deep irrigation system that effectively waters the root zone, yet preserves the precious water that is in short supply at the site. Although Pinot Noir has been produced from Riddle Vineyard only since 2012, the quality of the wines have been outstanding. Wineries sourcing fruit and releasing vineyard-designated Pinot Noir from Riddle Vineyard include C. Donatiello, HIBOU, Rivers-Marie, Sojourn Cellars, and Young Haden. Wineries have also sourced fruit from this vineyard for Sonoma Coast bottlings including Red Car Wine Co. I recently met with Sojourn Cellars’ winemaker Erich Bradley to sample the winery’s 2016 vintage fall releases that included a Riddle Vineyard Pinot Noir. A preliminary review follows. See also the HIBOU Riddle Vineyard Pinot Noir reviewed in this issue.